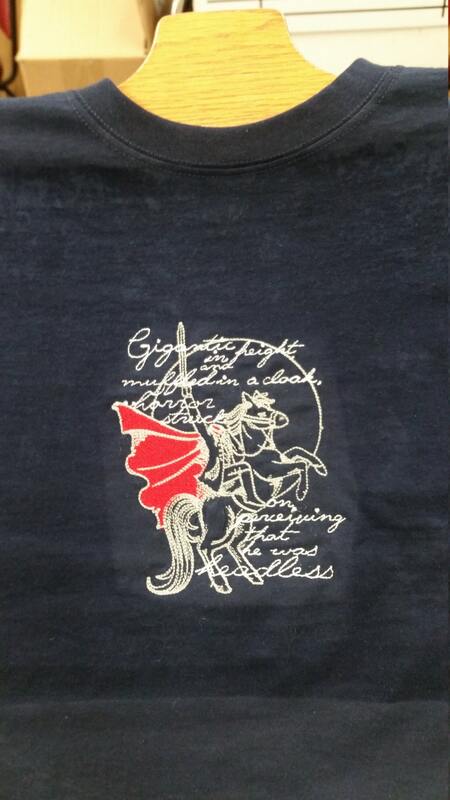 This cool design is embroidered on a navy tee shirt. It measures 4"W X 5.5"H and is sewn with red, light grey and white thread. 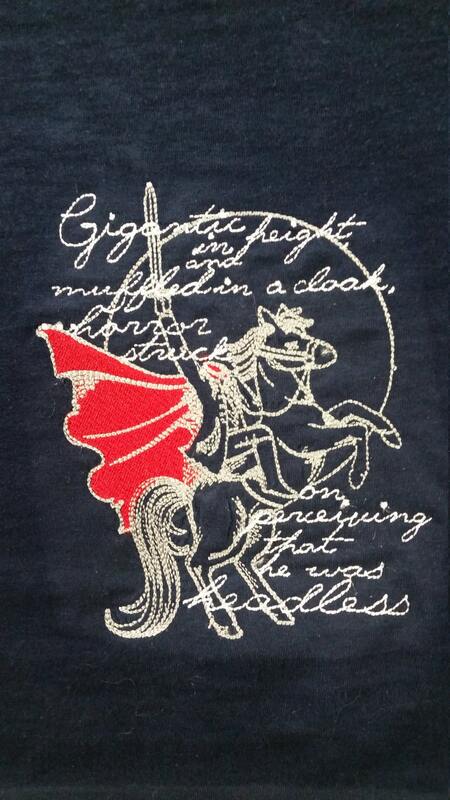 The quote is "Gigantic in height and muffled in a cloak, horror struck on perceiving that he was headless"
If you'd like a different color tee shirt or color scheme for the thread, message me and I'll accommodate you if I can. This tee shirt is 100% cotton and are unisex/men's sizes.